USB, Handheld, and Wireless Microphones at HAVE, Inc.
Professional Microphones from leading brands like Shure, Audio Technica, Samson, Sennheiser, and MXL Marshall. Vocal and Studio Mics for stage or studio, plus USB Mics for portable use and remote recording directly to portable devices! 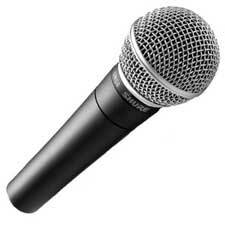 Give us a call if you have another choice of MICROPHONE in mind! 1-888-999-4283!